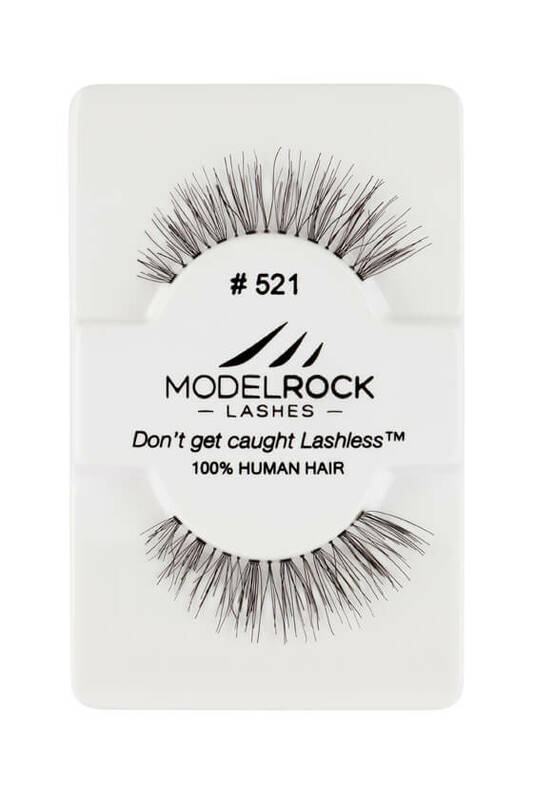 MODELROCK Lashes Kit Ready #521 lashes are hand-made with 100% natural human hair. It is a gorgeously natural everyday style perfect for everyday lash looks or "Bride to Be". 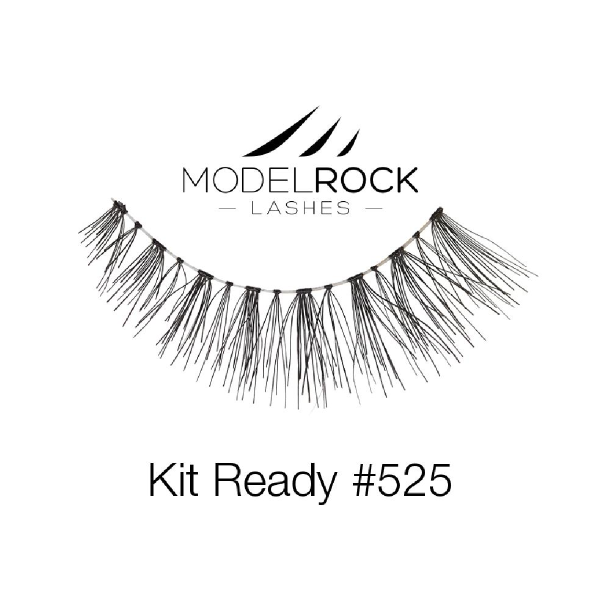 MODELROCK Lashes Kit Ready #525 lashes are hand-made with 100% natural human hair. It is a gorgeously natural everyday style perfect for everyday lash looks or "Bride to Be". 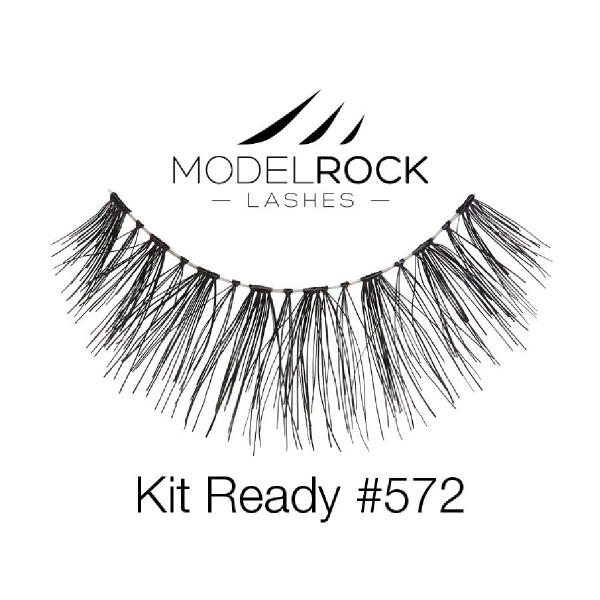 MODELROCK Lashes Kit Ready #527 lashes are hand-made with 100% natural human hair. It is a gorgeously natural everyday style perfect for everyday lash looks or "Bride to Be". 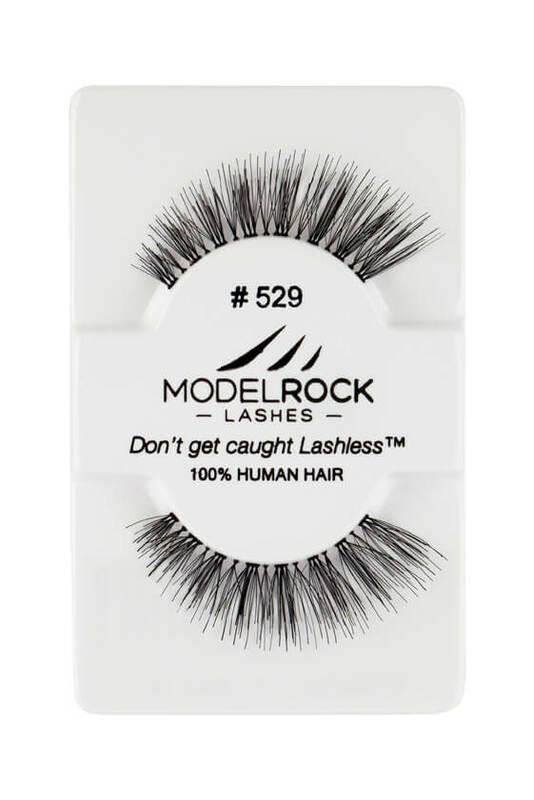 MODELROCK Lashes Kit Ready #529 lashes are hand-made with 100% natural human hair. It is a gorgeously natural everyday style perfect for everyday lash looks. Please note MODELROCK LASHES Kit Ready #529 is currently out of stock; Item will be available again shortly. MODELROCK Lashes Kit Ready #543 lashes are hand-made with 100% natural human hair with invisible lash band. It is a gorgeously natural everyday style perfect for everyday lash looks. Style is comparable to Red Cherry 523 Lashes. 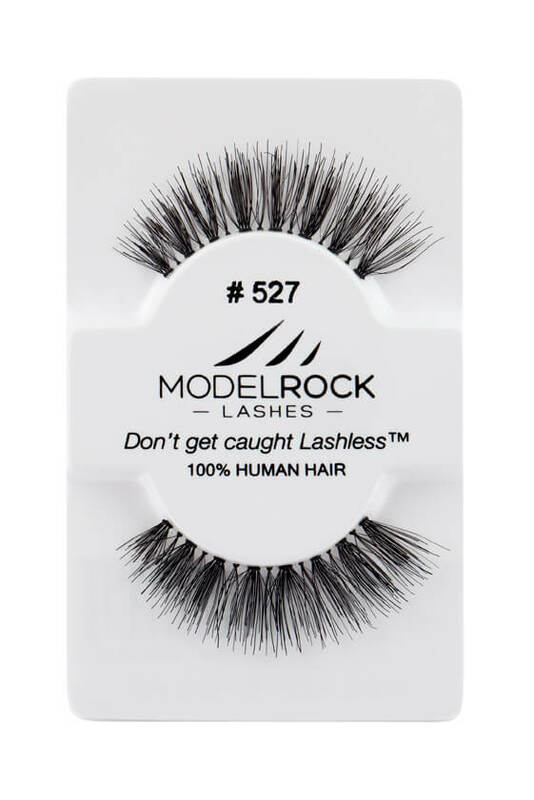 MODELROCK Lashes Kit Ready #572 lashes are hand-made with 100% natural human hair. It is a gorgeously natural everyday style perfect for everyday lash looks. 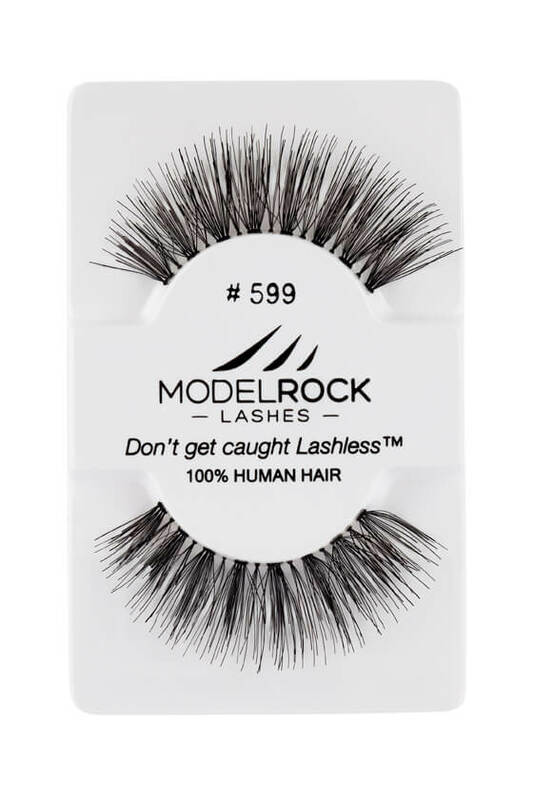 MODELROCK Lashes Kit Ready #599 are long length, ultra voluminous wispy style false lashes with sultry criss-crossed design, suitable for photo-shoot, catwalk, performance, photography and music festivals to give your eyes that pop of glam! 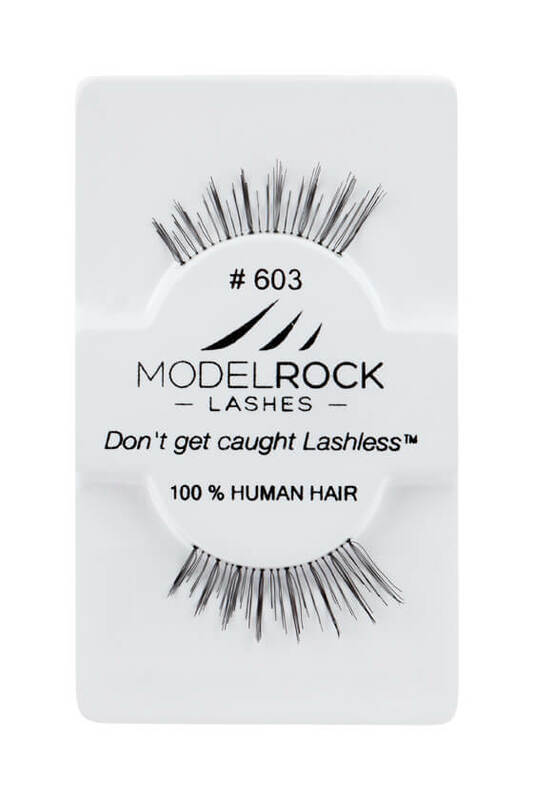 MODELROCK Lashes Kit Ready #601 are natual looking everyday wear lash style with a demure enhancement to your natural eyelashes using short 100% human hair strands to add subtle volume. These false eyelashes add just the right amount of volume, making them the go to lash for your daily beauty routine. These easy to apply lashes blend in perfectly with your natural lashes like your own. 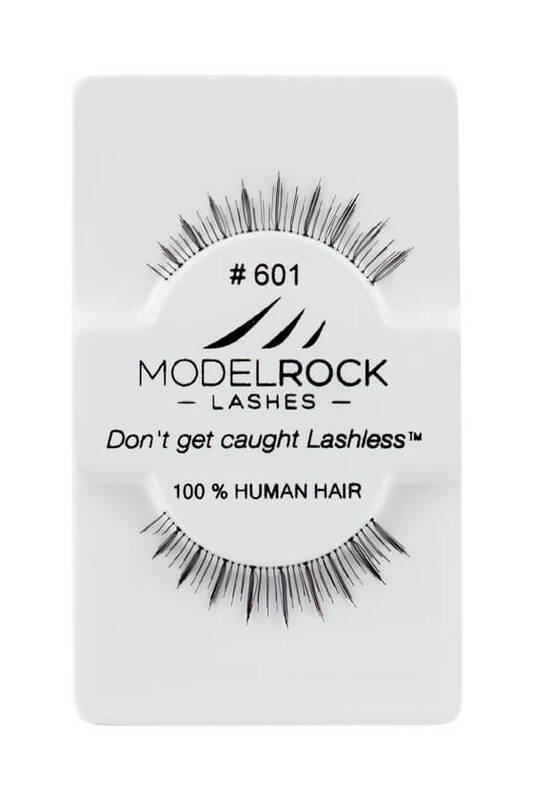 MODELROCK Lashes Kit Ready #603 lashes are hand-made with 100% natural human hair with a petite and graduated natural look. It is a gorgeous natural everyday style lashes. Style is comparable to Bullseye ‘Just a Girl…’ CYNDI Lashes. 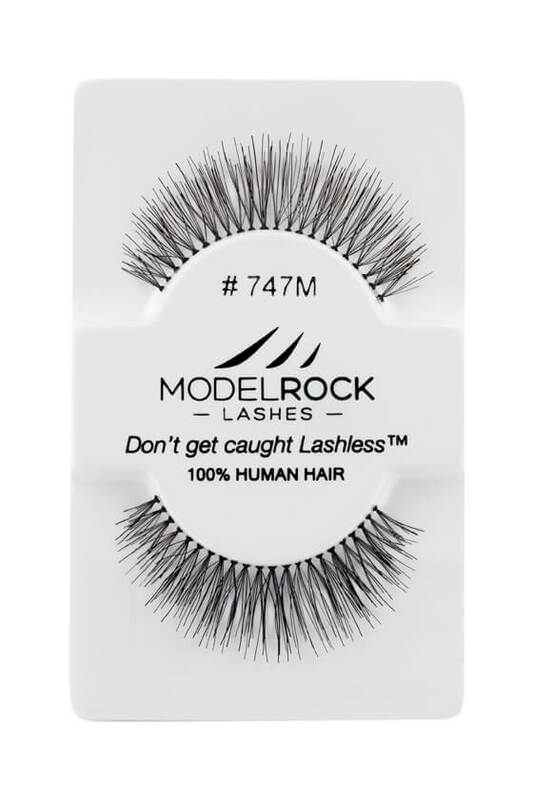 MODELROCK Lashes Kit Ready #747L lashes are everyday natural looking false lash styles made with beautiful super soft 100% human hair hand-made lashes. 747L is a little longer than the ModelRock's 747M. These popular lashes offer the perfect amount of volume to adorn your natural lashes for added glam and attention. Style is comparable to Miss Adoro False Eyelashes #747L and Red Cherry 747L Lashes. 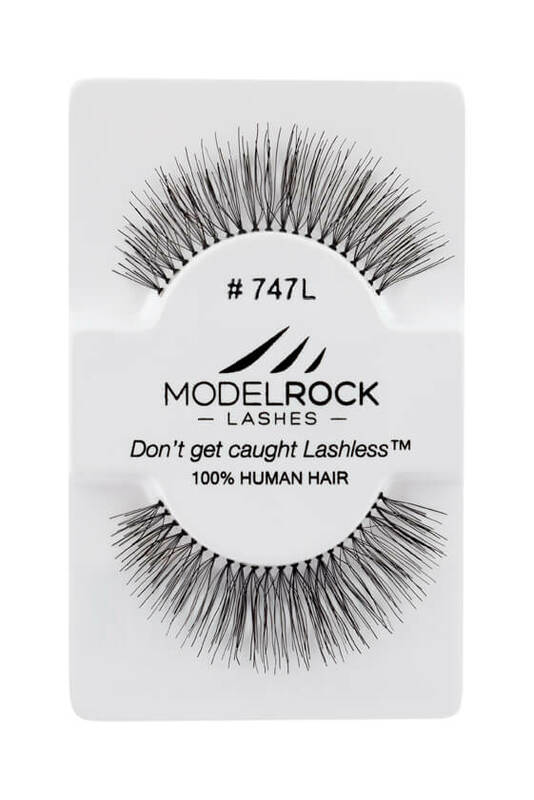 MODELROCK Lashes Kit Ready #747m lashes are hand-made with 100% natural human hair perfect lash style to have for your Professional kit or use with everyday natural lash looks. Style is comparable to Red Cherry 747m Lashes. 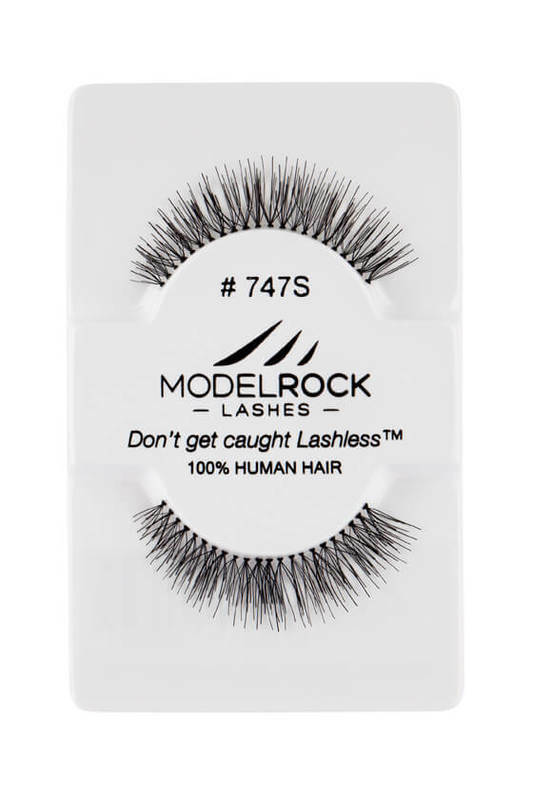 MODELROCK Lashes Kit Ready #747s lashes are hand-made with 100% natural human hair, perfect lash style to have for your Professional kit or use with everyday natural lash look. Style is comparable to Bullseye ‘Just a Girl…’ INGRID Lashes and Red Cherry 747s Lashes.